We are really pleased to be able to offer these shoes. 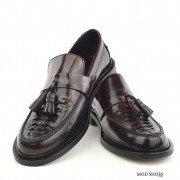 Modshoes has the exclusive on these and you just won’t find them anywhere else ! 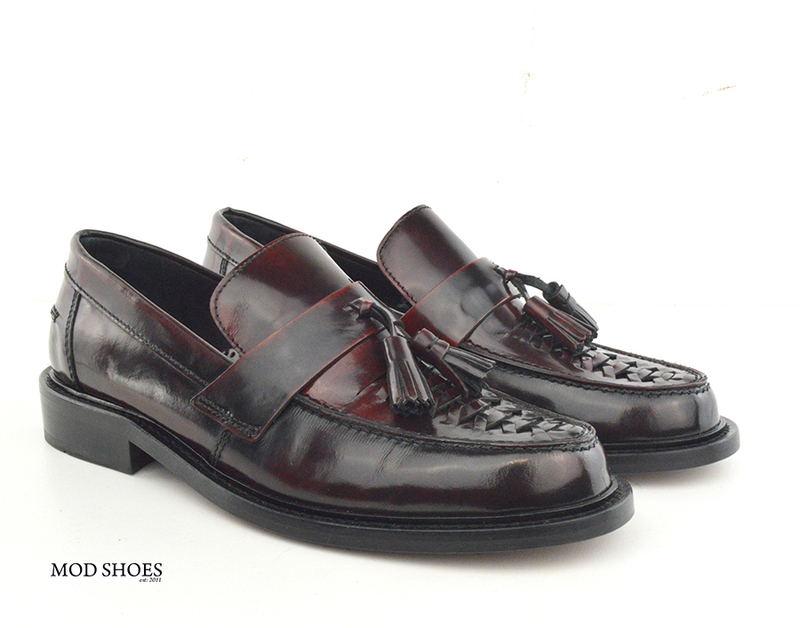 Based on a pair of shoes from the late 70s, these shoes evoke so many memories. Personally I can remember people round our way wearing them. 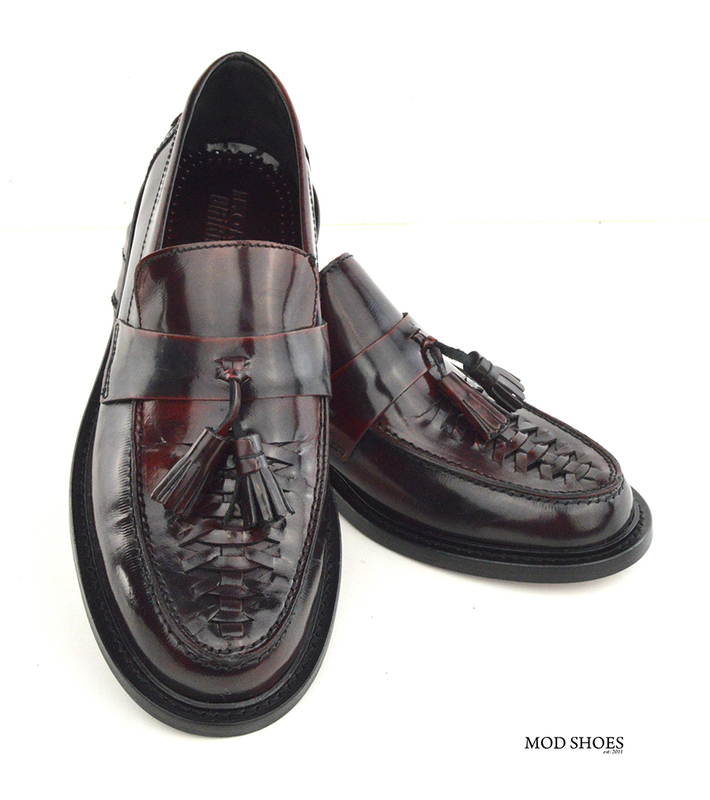 Modshoes was lucky enough to have a friend that had owned a pair since 1981, which we think, was the last time that you could actually buy something like this. 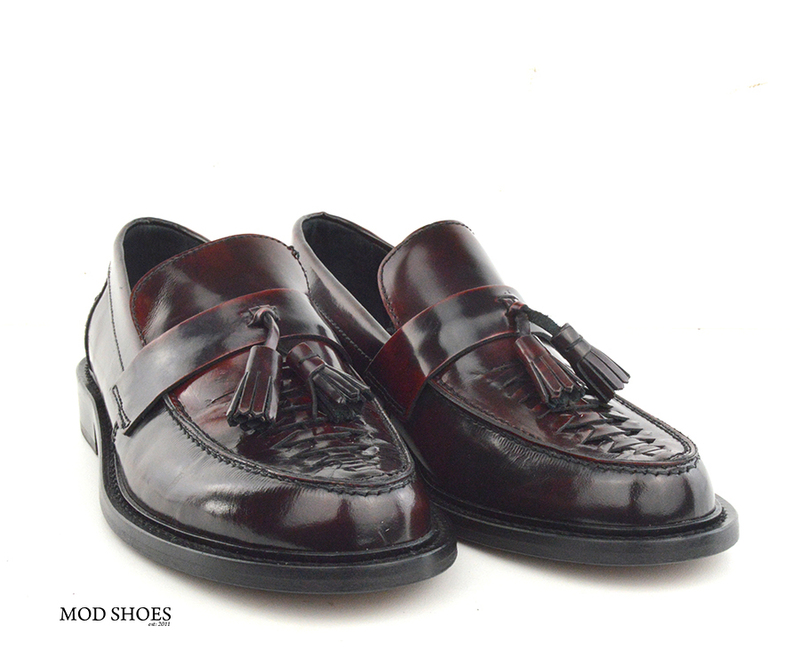 It’s almost impossible to find TRUE basket weave tassel loafers in this style these days, you get the odd pair on ebay, but they are not common place. 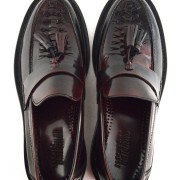 The shoes look really good in real life, the oxblood rub off black look, makes them striking. In terms of wearing, I had a pair on my feet straight out the box at Skeggy Northern Soul weekender recently, and report no issues at all. They felt great and comfortable with no rubbing. Be aware like all loafers, they will grow up to 1/4 of an inch after 2 hours or so. These did for me. In terms of sizing these are very true to UK sizing, so stick with your UK size. 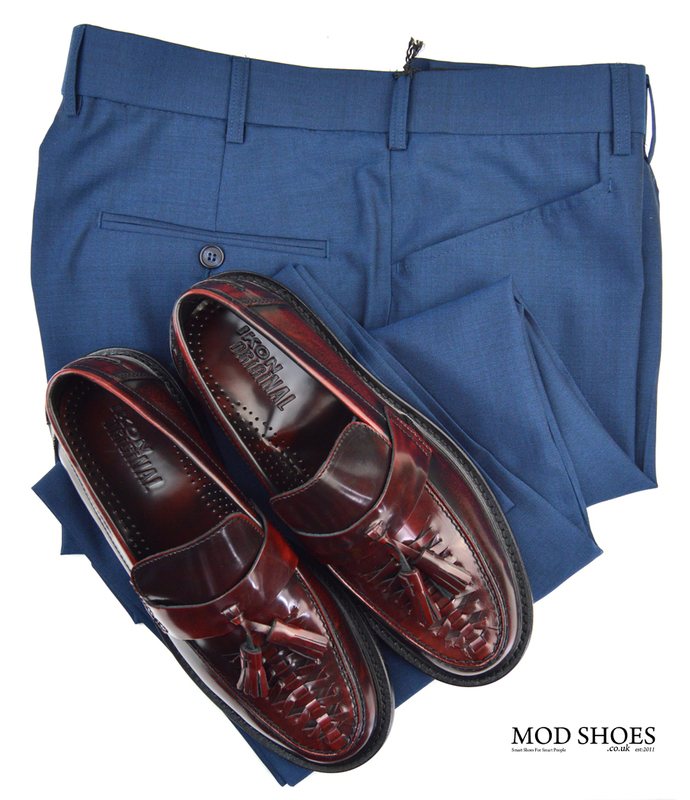 Be aware they are roomy in style so if this is your first pair of loafers in a while do expect them to feel wider than normal High Street shoes. 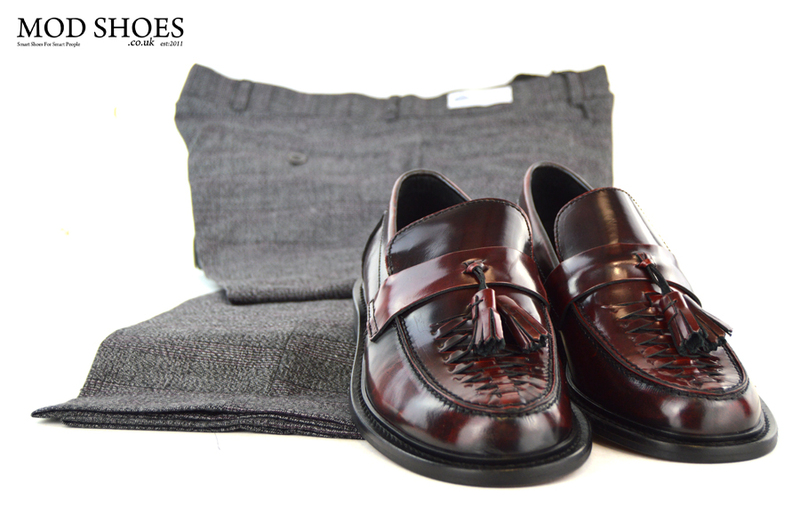 Here are some images of the shoes with Trousers. 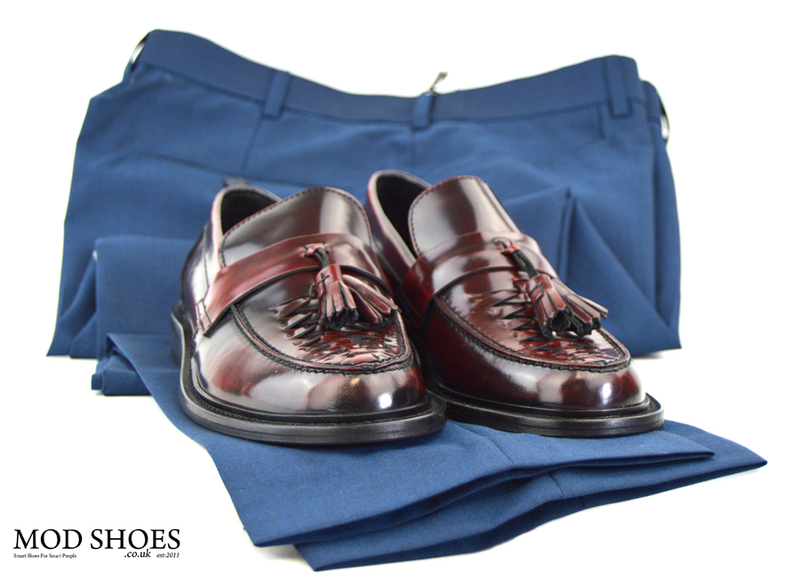 We did these shots so you could see the shoes with trousers you possibly own already, and get a feel for how they look. 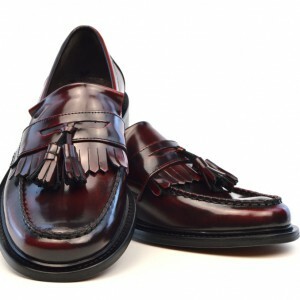 I bought the allnighter weave front loafers because I wanted two tone era loafers like I had in 1979/80 .i was not dissapointed.without doubt these are the best looking fringeless loafers you can buy.The quality,look and fit are second to none and I’m fussy about my shoes.if you want two tone era loafers then its a no brainer.you NEED these shoes. 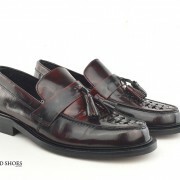 Adding to my last review on the allnighter basket weave loafers I have to say that oxblood colour is a really nice antique style look and after wearing the shoes for a couple of months they crease and swell with your foot very well and actualy look even better with wear.will definitely buy from modshoes again due to quality of item,quickness of delivery and good communication through email and social media.5star rating. I bought these for the simple reason comfort, I had a motorbike accident 38 years ago which left me with a disabled foot, When a mate of mine bought these I asked can I feel how soft they are, as iv’e bought loafers from another online store which were hard leather, I was so suprised of the softness of these and they reminded me of the ones I had in the 70s.i had to have them stretched a bit as my foot is wide and I cant handle walking with painful blisters anymore, well after having this done iv’e been out dancing in them and I must say they are terrific, so a big thank you to the makers and designers of these loafers I can wear mod shoes again. I’m disabled after a nasty Scooter accident in 1986, & most shoes I buy involve a long drawn out process to stop me getting blisters, & these shoes straight on walked round for hours not one blister not one sore spot, they are just so comfy, superb quality, well made, & the fact the look good on is a bonus, so from one 50 year old disabled Skinhead girl I wholeheartedly recommend you buy these superb shoes. 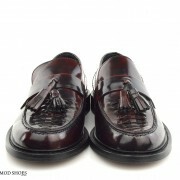 got these shoes at first sight on the website? quick call to clarify sizes and ordered. quick efficient delivery. size perfect. gave a bit on the width after a few wears? but don’t worry as they feel like they are moulded to your feet. can’t count the amount of times I’ve had a tap on the shoulder by someone complimenting me on my shoes. great shoes great value too. 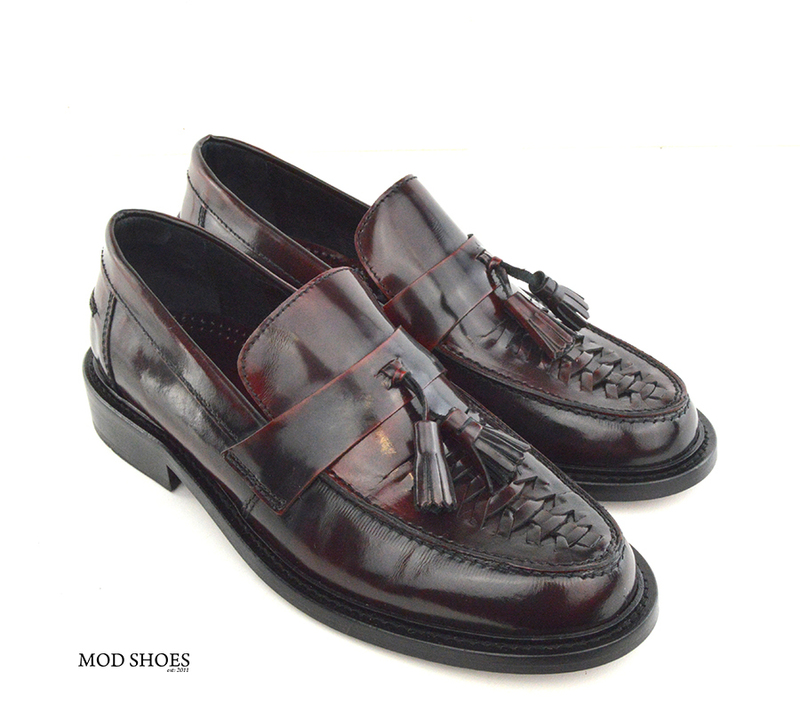 Fell in love with the All Nighters and the ModShoes concept at first sight. 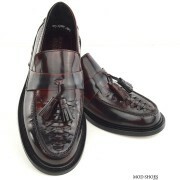 The shoes are exactly as described and the service was all that was promised. I’ll be back! My wife, myself and my All Nighters are off to a ” Men Of Motown” Dance and Dinner on Saturday night. I’ll be interested in finding out how the shoes stand up to my Four Tops and Temptations modelled moves. I’ll be there or is it just my imagination? Memories,memories and even more memories I had beeb trying for years to remember the name of these shies and the one day your email arrived and there they were in front of me and my school days and early adulthood came flooding back. What a pair of shoes, comfortable great looking and with all the originality of my fist pair, great fit with no rubbing, would recommend to anyone. The Allnighters are the first shoe I have seen since the late 70’s/early 80’s that even come close to the original Frank Wright/ Faith Royals/George Cox loafers that were so dearly loved. With the added basketweave top they make a lovely shoe. Very comfortable and nice soft leather to boot! I bought these shoes as soon as they were available so I’ve been able to wear them in and see how they fare . I’m have to say that it was the style that drew me to them and was wel pleased when they arrived . They are wearing well and they have creased up nicely . They Take a good polish and are very comfortable with a good true to size fit , for me at least . I have more expensive shoes and loafers but I’m well pleased with these and would recommend these to others who like this style . Spot On! Received these beautiful loafers yesterday. Took them on their first test drive last night at Denton Labour Club Northern soul night. Great for the spins leather on a wooden floor superb with out or with talc. They are nice and wide and I have really trouble getting shoes to fit. Maybe you could introduce half sizes. Allnighters ..Absolutely fantastic shoes ..The ox Blood colour is really Good ..The Basket Weave looks so Impressive ..They feel comfy on and look the bees knees ..They go well with my collection of Loafers and Brogues ….Been a Skinhead in the Original Era late 60s early 70s and now in my 60s and still a skinhead the Allnighters look so good on ..Really Impressed with them.. Excellent… 5 star.. I have two pairs of these and they are brilliant. 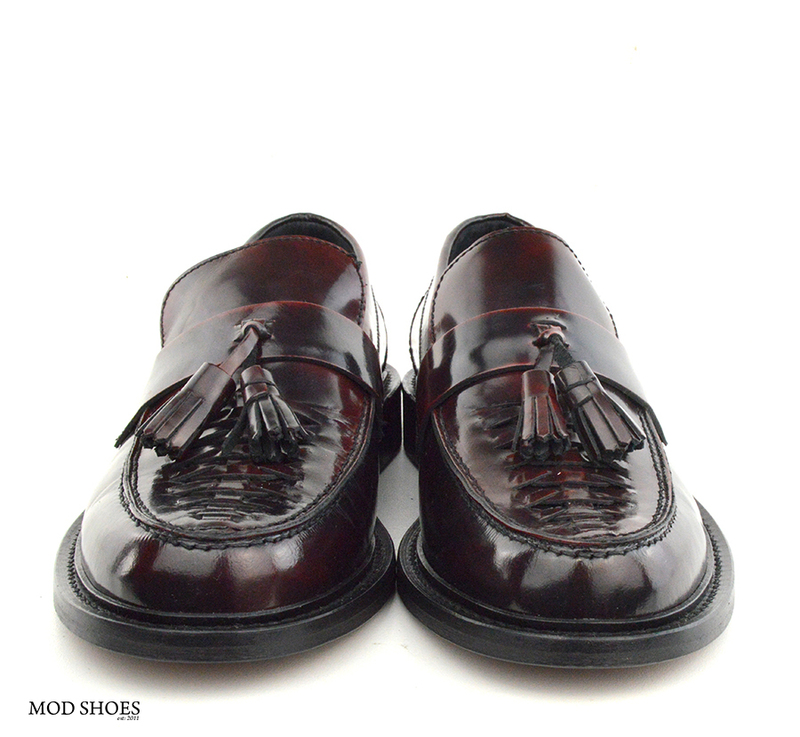 It took me while to convince myself to wear oxblood and with tassel, but these are my best shoes of all time. They get worn daily for work, and also sometimes teamed with jeans. I have had comments from people on how good they look. These live up to the allnighters name as are superbly comfortable. The finishing of this product is next to none. My old faithfull shoes, these are my go to shoes when i can’t decide, great with levi’s or a suit, always a classic look. Have delayed the review of these shoes to see how I got on. On first try was a bit concerned because although a snug fit both shoes were slack on the heels and there was some movement. I inserted heel grips and the movement was still apparent. I am size 8 but was recommended to try size 7 as the shoes are wide fitting and although quite tight all over did not want to go down into a size 6 which I have never been able to fit into size 6 shoes. 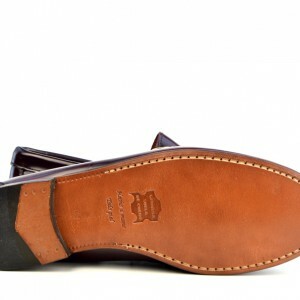 Besides by now the leather sole was scuffed. I solved the problem with a thicker pair of socks and have now danced at 2 soul nights with no problem. I love how great they are to dance in -have never had a pair of leather soled shoes. I also like how they don’t make your feet look big despite being a wide shoe. As some reviews have said they look great with jeans or trousers and polish up great. Would recommend anyone buying to go down into a size smaller first to try. These shoes immediately lit up my eyes. Sheer quality and style. I am 50 now and live in Camden. The shoes immediately brought me back to my youth, when style meant. Everyting. 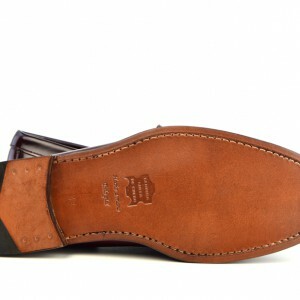 For a leather soled shoe, these are very hard wearing. The best thing is that my kids love them and my son has actually borrowed them. Still waiting for my Jeffry Wests to get back in stock but God bless Modeshoes. really pleased with my purchase. like a lot of the good people that review I was a skinhead in the day and these shoes epitomise those great days. stylish, comfortable and great looking.was also looking for a wider fit shoe and these fit the bill for me.im between a 10 and 11 but went with an 11 and glad I did.some reviews have stated that its best to go down a size but for me personally the higher size did the job.have had them on for the afternoon and they have moulded nicely.fantastic service and well pleased. Bought some time a go still going strong great shoe great colour, the only shoes i wear on a Saturday night they go with anything 2 tones or jeans. ***CORRECTED VERSION*** I had a pair of shoes like this back in the 80’s and loved them, these shoes are authentic in every way and are a welcome addition to my wardrobe. Very very comfortable, well made and they look great! 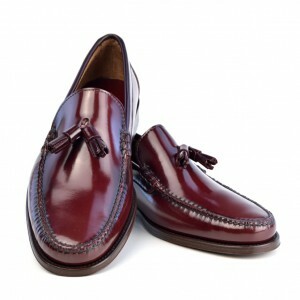 I usually wear them with a pair of 501’s, the oxblood colour just amazing! I can’t begin to tell you how many people have asked me about these shoes and told me how nice they are! I purchased a pair in my normal size and they fit like a glove. 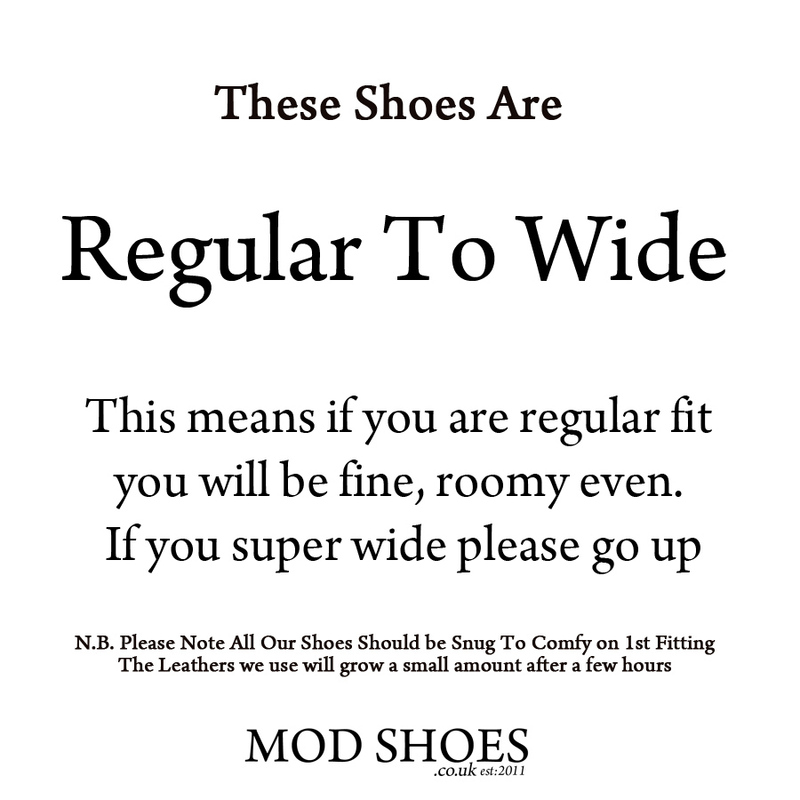 I highly recommend Mod Shoes, their service is second to none. 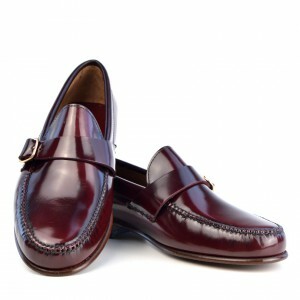 I have since purchased a pair of Oxblood Loafers for my step daughter. 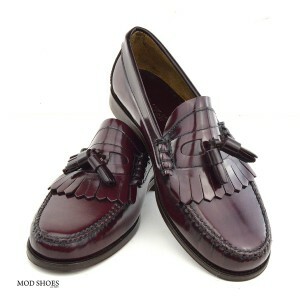 She is 19 and has more shoes than anyone I know… She tells me that her Mod Shoes are the BEST shoes in her collection. Love em! These shoes were bought as a present for my husband,he has a wide foot but has found these to be the most comfortable shoes ever. 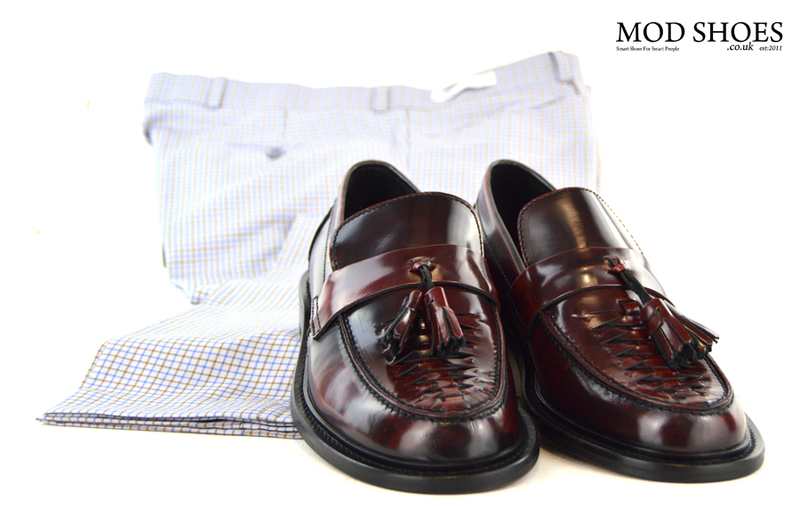 They are a classic look and always gets compliments when he wears them the quality just speaks for itself. I needed to actually try shoes on before purchase . Glad I did purchase on line- what great looking well fitting shoes. I had purchased pretty much all the range of the Squires shoes (Ivy League )back in the day ,early 70’s . I am now replicating that era where possible . These shoes beat those , haven’t needed six weeks of blisters to break them in. 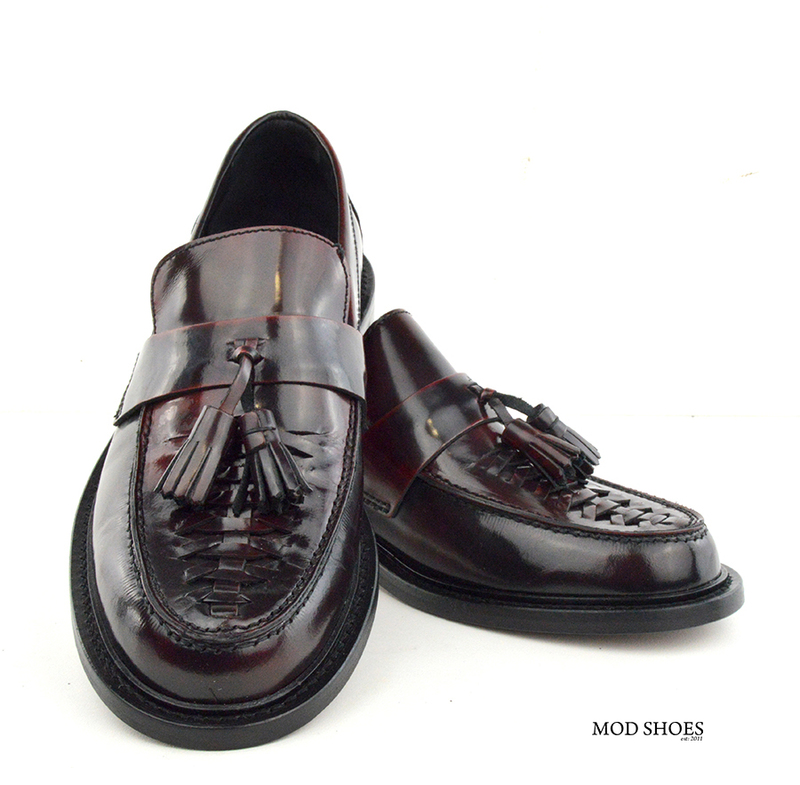 Thanks Mod Shoes keep up the great work . These shoes are of a quality that are eye catching either in the boardroom or on the dance floor and I wear these and my Royal broagues for both. Fantastic quality and comfort. These shoes arrived earlier than expected and although a little tight fitting at first soon become extremely comfortable to wear. 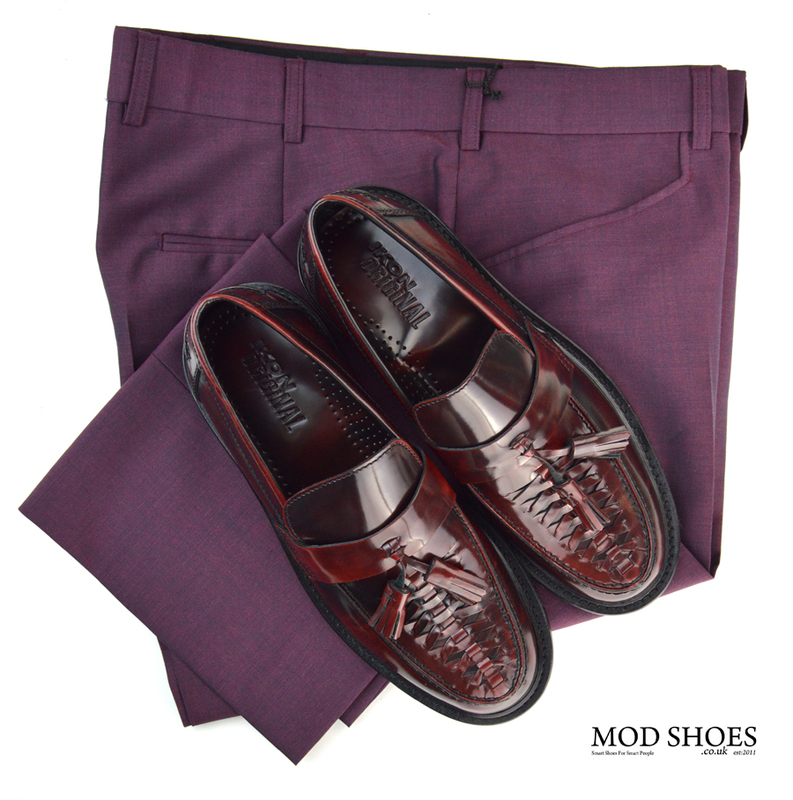 Would recommend Modshoes and if you require any product information then give them a call. 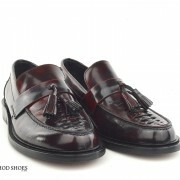 Never thought of owning a pair of loafers until now!! 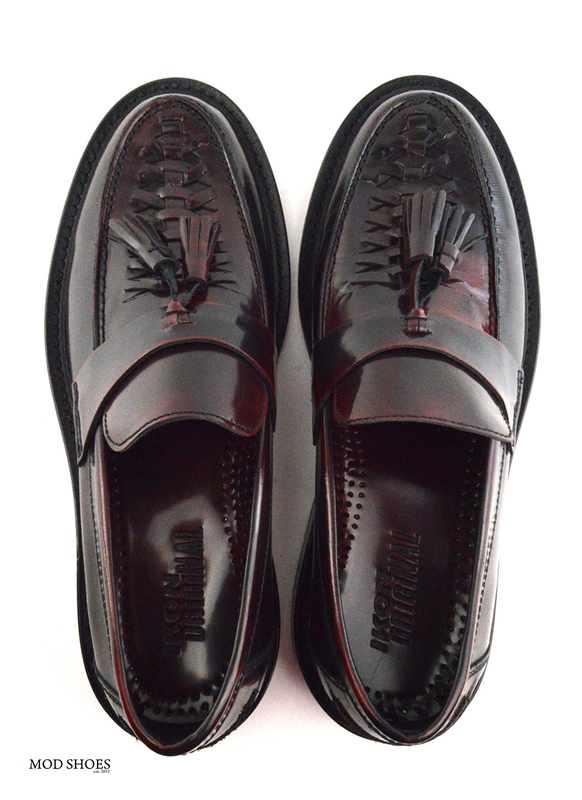 absolute joy, very comfortable to wear,more like a glove, brought to attend a wedding , black and white tassel loafers, very trendy cant wait to buy a oxblood all nighters. I’m not really a big fan of Loafers. I wanted something smart/casual and the All Nighters fitted the bill! 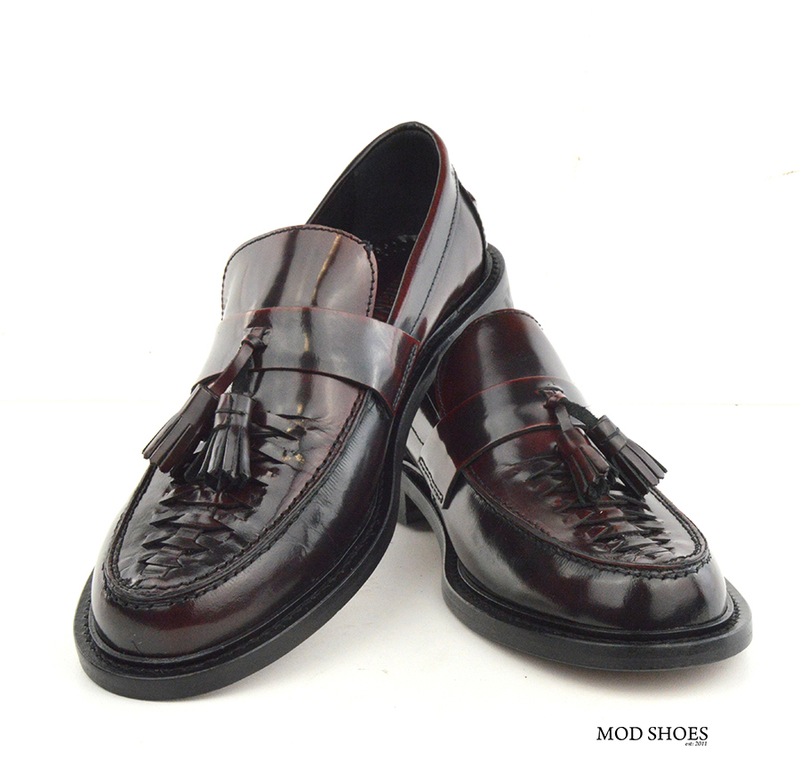 As with all Modshoes, the quality is outstanding and the fit is perfect. 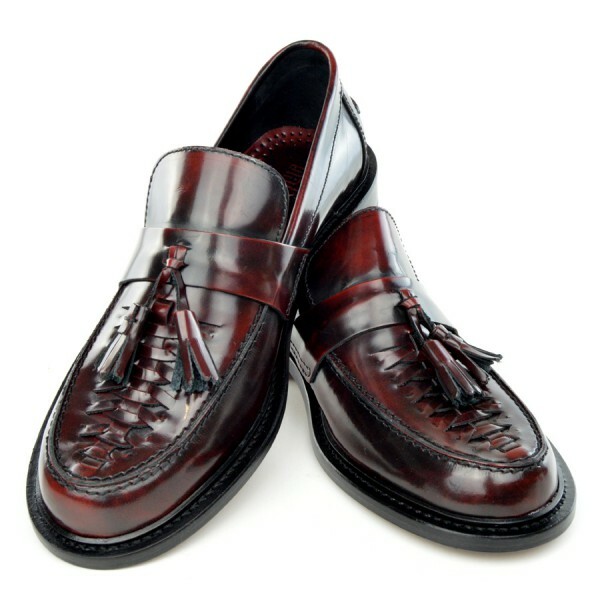 I chose the Oxblood and found they go with virtually anything. 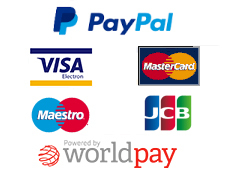 You cannot find this quality and style anywhere at this price. 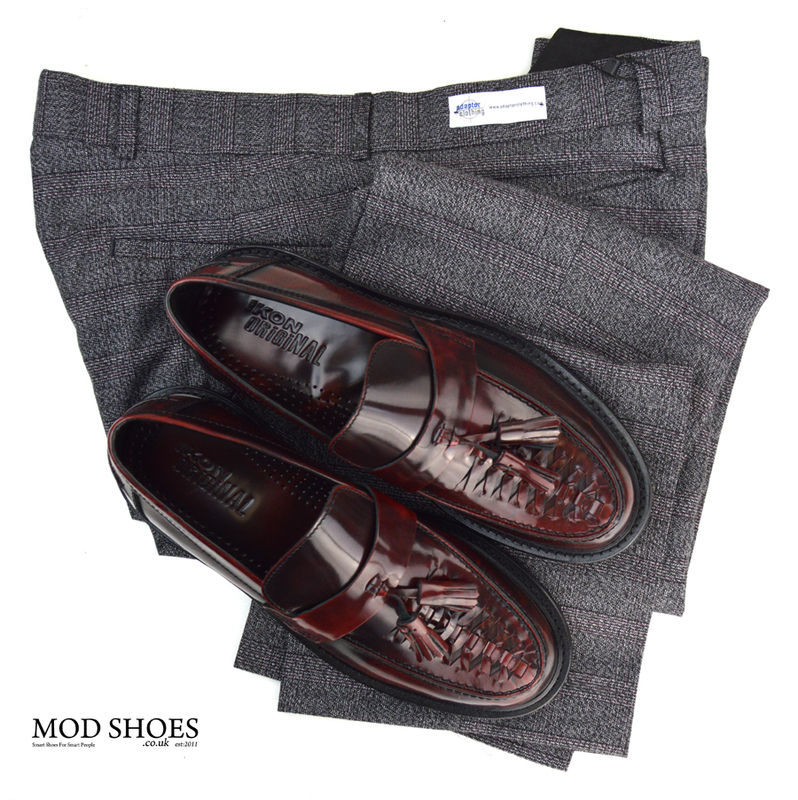 Keep it up Modshoes, you are providing a unique and quality service! 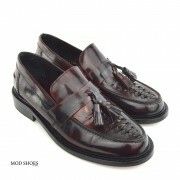 Received my blood basket weave loafers on Friday after ordering them late on Wednesday night. They were packed superbly and looked fantastic. I wore them to my local soul club on Friday night. They felt a little tight at first but after dancing in them for a. Couple of hours they soon softened up and are extremely comfortable. I even received a couple of compliments on how smart they are. Needless to say I told people where I got them.